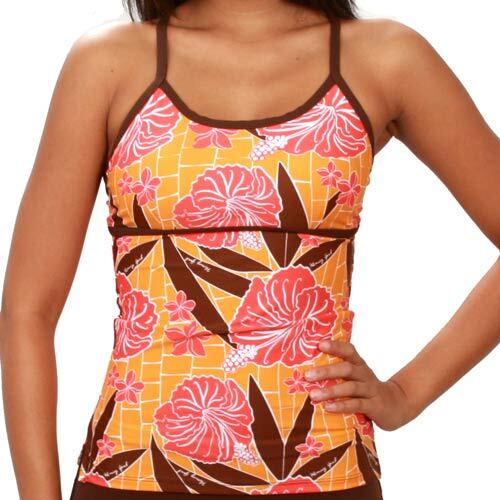 Summer Tankini Tiare Nui Yellow. Print: Tiare Nui Yellow with BLACK trim. Bust is lined and lightly padded. (the cups are sewn to the lining so they don‚’t scrunch up on you). Straps can be worn crossed, with adjustable hooks. Fitted so it won‚’t get baggy in the water. Perfect for work outs, too.